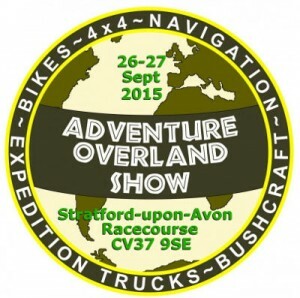 If you’re interested in overland travel or simply want a chance to see some amazing and unique motorhomes, then you’ll not want to miss this year’s Adventure Overland Show. The sole event of its type in the UK, the show features all forms of overland travel, from 4×4 campers to all-wheel-drive expedition trucks plus adventure motorcycles and touring bikes. There’s also an entire section dedicated to bushcraft – a specialised field encompassing survival skills, wilderness training, bushlore, tracking, navigation and first aid training. Last but not least, there’s a full programme of free seminars about the planning, construction of overland vehicle and life on the road. Low cost camping + live bands in the beer tent Friday & Saturday evenings, plus England vs Wales in the Rugby World Cup on a big screen Sat night.